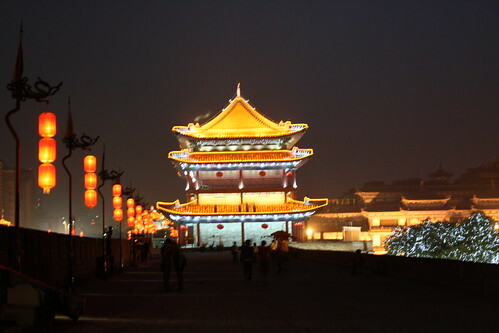 When I pictured China, I imagined grand, dilapidated stone walls guarding ancient cities dotted with colorful pagodas. I envisioned quaint, wooden tea houses lined with cherry blossoms and a countryside covered in rice paddies and ox carts. I pictured enormous, polluted cities where street sweepers shaded themselves under bamboo hats while dodging vegetable carts and barefoot children begging in the streets. If this was the China I was looking to discover, turns out I was 50 years too late. My China expectations were due for a serious reality check and that’s exactly what I got. 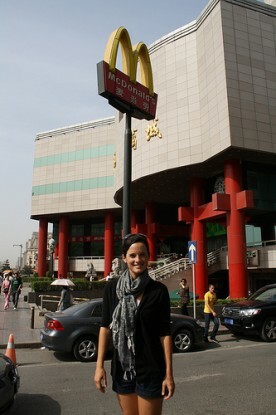 I was blindsided by the bright lights of the China that awaited me. It’s modern and slick. It’s immaculately clean. There is no litter on sidewalks and streets look as if they’re scrubbed by hand daily. Even the pollution is better than I anticipated. The singeing smell of burning garbage that prevails in most Asian cities was absent here and instead I was greeted by newly planted, green, leafy trees lining the streets. Everything about the country is massive. From the skyrocketing population to towering buildings, China does everything big. You have mammoth-sized banks and shopping malls that seem to go on forever. Billboards here are the size of houses and train stations look more like convention centers than transportation hub. Even the streets are enormous, with boulevards stretching out seven or eight lanes. The growing middle class was what really struck me. It’s not a world of rich and poor as you’d imagine finding in most developing nations. People have expendable income here. 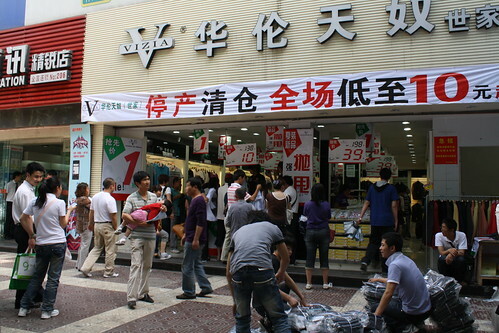 Shops and restaurants are busting at the seams with patrons and tourist destinations are flooded with Chinese tourists. For so long China has depended on the U.S.’s purchasing power, but by the looks of it, this won’t be the case for too long. They’re going everywhere…fast. The country is extremely advanced. Public transportation is fast and efficient; better than you find in any U.S. city. People are wired with the latest technologies and you can hardly find a café that doesn’t offer free wireless Internet connection. People in the cities are also highly fashion-conscious and sophisticated and make a strong effort to put their English skills to use. Poverty seems non-existent. People walk the streets with purpose, and we rarely, if ever, saw anyone begging. So taken aback we were by this that we even questioned whether image-obsessed China could be ‘relocating’ the poor to some far off land out of sight? I wouldn’t put it past them. China is moving ahead at an astounding pace, however, this has to come with a price. With such rapid change sweeping the country, the Chinese seem to have lost a sense of who they are. They seem to have no respect or appreciation for their cultural heritage. Ancient monuments, including old city walls and even parts of the Great Wall of China, have been knocked down and built to look new again. They see any sign of their past as antiquated and go to great lengths to hide it from the public eye. The country is also heavily Western-influenced. You can’t walk down a street without being bombarded by a Starbucks, Dairy Queen, Apple, Nike or Puma store. What is 21st century China? It seems everything but themself. There must be negative consequences to the rapid growth. In the meantime, they have certainly come a long way, and I must admit: I am impressed! 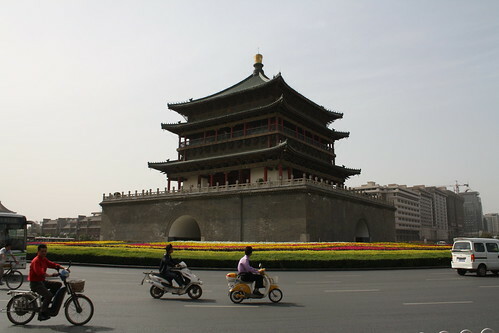 Well I agree with you that China has moved rapidly into the modern world, but China is not too different to other countries where things have burnt down or been destroyed during a war, and then been rebuilt as the same iconic structure. I did a tour of Germany and found most of their historic buildings like the Residenz at Wurzburg had been destroyed by bombing during the war and rebuilt exactly the same as the original at an enormous cost. However when you havn’t seen these sites before they awesome! Interesting post. I too am guilty of making assumptions about China. We plan to do a tour of the area at the end of the year, so this post is very timely for us!